Entertainment is essential as it diverts our attention from our demanding lives. It can take various forms and among them is the casino game. This field has amazingly increased because it has responded rapidly to the technology development. When online gambling has become more accessible, the social casino has embedded within this sector. The exploding growth of social networks like Facebook has taken to the rise of social gambling. People can play games for both free and real money versions. The games are often easy to play and can be found in popular social media sites or by downloading apps. Why Do People Gamble There? With the progression of social media and mobile applications, social gambling has gained popularity. A social casino refers to playing the casino games supplied by software developers through social networks. These developers are continuously providing games specifically on these online platforms in which the players have to connect to their social media profiles. Today, many gambling industries have adopted social casinos on Facebook since it is the widely-known platform in the globe. The enthusiasts can take advantages to loads of free games on any device and at their convenience. These social casinos include the game similar to the online casino such as the pokers, the slot machines, the different table games, video poker, bingo, scratch cards, and more. As social gambling is among the trendiest activities, the demand of the fans has motivated the game developers to launch more and more innovative games. Here are the reasons why people prefer playing at social casinos. They are playing via any device. Probably the common wish of the gamblers is to play the game from their homes without leaving their comfort. The players get more out of their favorite games at Android casino (as it’s the most popular operating system in the world) or via iOS casinos (for Apple device fans) as long as they have access to an internet connection. The endless opportunities offering by the social casino are incomparable. They can chat with other players. 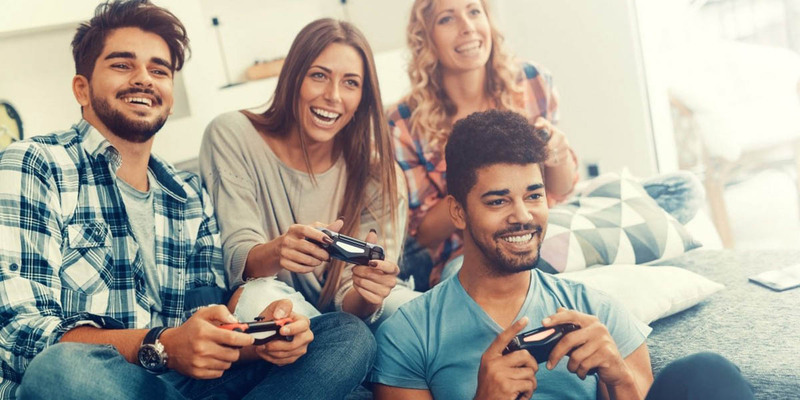 Apart from playing anytime and anywhere, they can also connect with their friends through the games. Also, they can play against them or share their win or jackpot. The players can also find the latest games on social networks like Facebook, Twitter, and many others. Free games to Play. Another essential advantage of casino gambling is free games to choose from. As many platforms offer free games, the customers are able to pick various types. It is no risk and suitable for both beginner and experimented players. Moreover, these free sites allow newcomers to increase their skills. They can learn new games by practicing more before playing for real money. Nonetheless, real money games are promising you enjoyment and huge payouts. Game selection. A great range of games is available in social casinos such as the slot machines, the table games, and other appealing games. If you are a fan of vintage or modern slot machines, you have more chance to find the types you want to play. Just make a click and keep you entertained with different games available. Mind that some of them won’t be found in any land-based casinos. Social casino refers to the online casino games permitting the social interaction between the players. These fans may include men and women. This casino lets people play or bet on online games. Here are some statistics on social gambling according to the researches. 14% of social players spend more than an hour every day playing at their work. Men are more likely than women to participate in most social gambling activities. The average age of social gambling players is 39 and 46% of them are women, while 54% are men. They show interest in this field because it is a solution to stress relief and a kind of relaxation after a busy workday. Furthermore, gambling on the social network is different according to the aficionados as it is a kind of mental stimulation giving them thrilling. And the last but not the least reason for choosing social gambling is social interaction. This indirect contact allows the players to share their excitement and joy with their friends, families or other gamblers.